Is it possible to get into the train and actually drive and control it? I can kill the driver but nothing happens. I've already tried to blow it up and shoot from almost every gun I've got, but no success. It never stops! The thing is, that you can't stop or drive a train without mods. There is no other way, so you need a PC version of a game and a modification called "Engineer Railway". You will also need a Script Hook and ASI Loader for this mod to work. 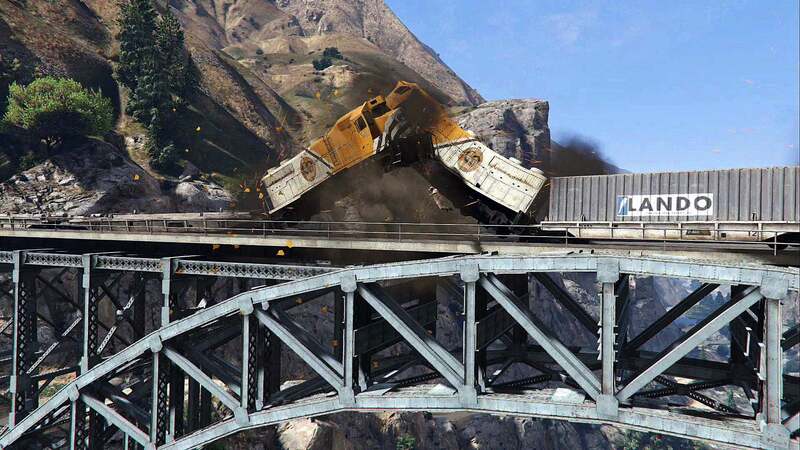 There is only one place and time, where you can officially drive a train - it is a single player mission with Trevor, called Derailed. It is a very fun part, where at first place you need to get on the train riding a bike, hijack it and at the end there is a massive crash.